Southern Loggin’ Times’ December issue spotlights Georgia’s Keith Pickle, who deploys a thinning crew and a clear-cut side, harvesting for local wood dealers. Expansion is a possibility, but not until market conditions turn around. Also featured are Miss.’s Lance McCloud, who contracts for Weyerhaeuser and has boosted production with evening shifts, and Ala.’s Marvin Sykes and his crew, who work the Alabama-Georgia line. 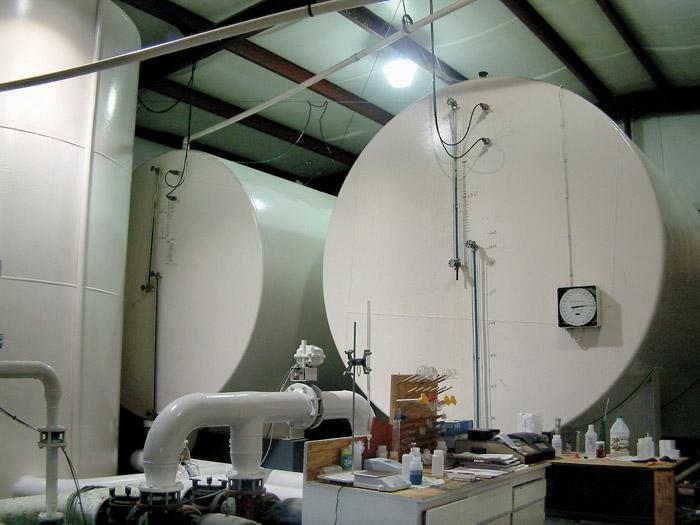 Ronnie Andrews is highlighted for specializing in logging the North Carolina mountains, and NC’s Jordan Lumber is featured for growing its business both horizontally and vertically. 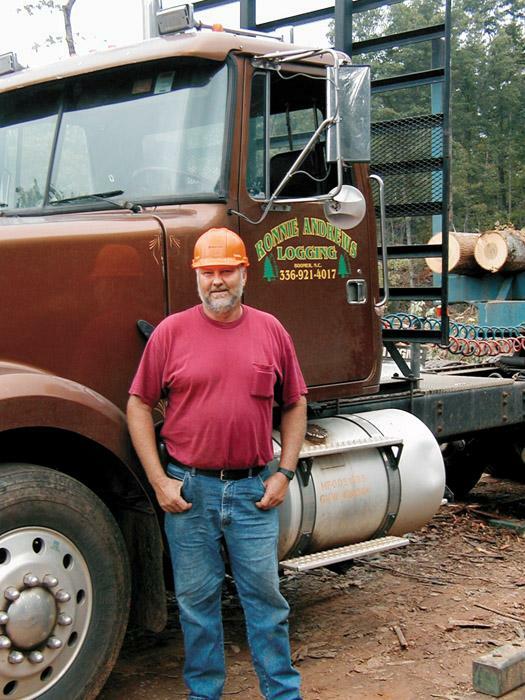 Lance McCloud, the 40-year-old owner of McCloud Logging Inc. and McCloud Trucking Inc., has an unusual story about the way he came to be a logger. 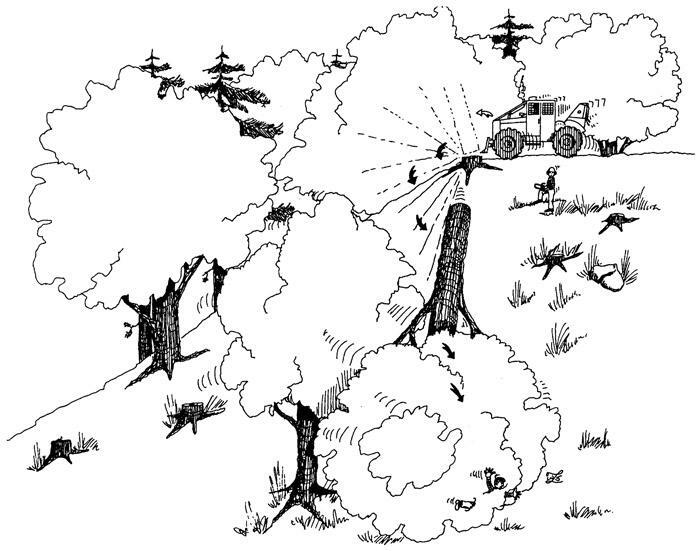 Unlike the majority of today’s logging force, which learned the business through family members, McCloud took to logging all on his own. 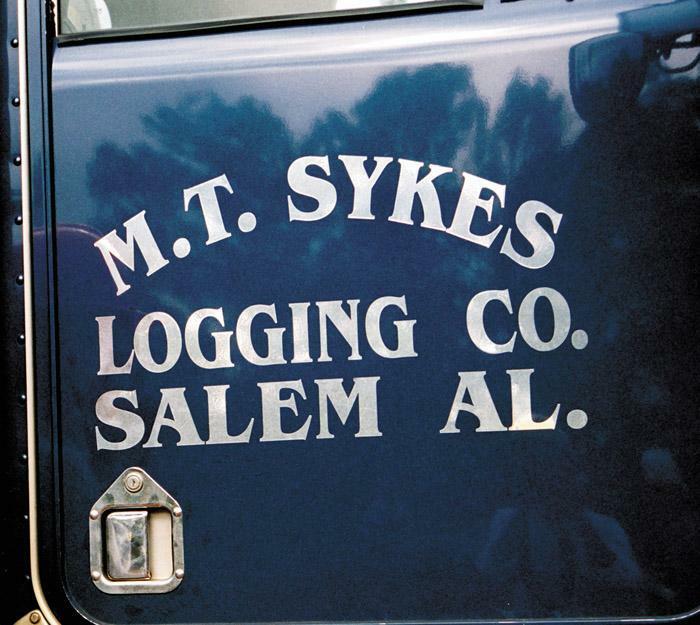 It’s a long way from Pork Chop Hill to these here in west Georgia, but on this muggy morning with the late October sun popping out sporadically from behind low-moving clouds, Bill Sykes takes everyone there. Ronnie Andrews isn’t one to complain, nor is he one likely to sugarcoat his words. He’s a mountain logger. That’s what he signed up to do, but it doesn’t mean that he won’t take the opportunity to have some fun with Weyerhaeuser procurement forester, Amy Phillips, when discussing job assignments. Jordan Lumber & Supply Co.
Maybe you knew, maybe you didn’t. 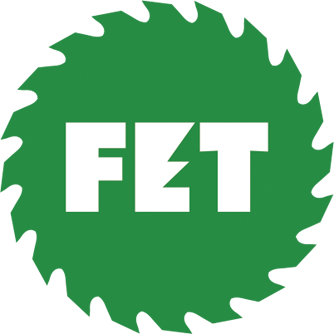 On December 31, 2003, the Environmental Protection Agency (EPA), with the blessing of manufacturers of wood preservatives, quietly pulled the plug on residential use of a 60-plus year building standard: chromated copper arsenate, more commonly known as CCA. 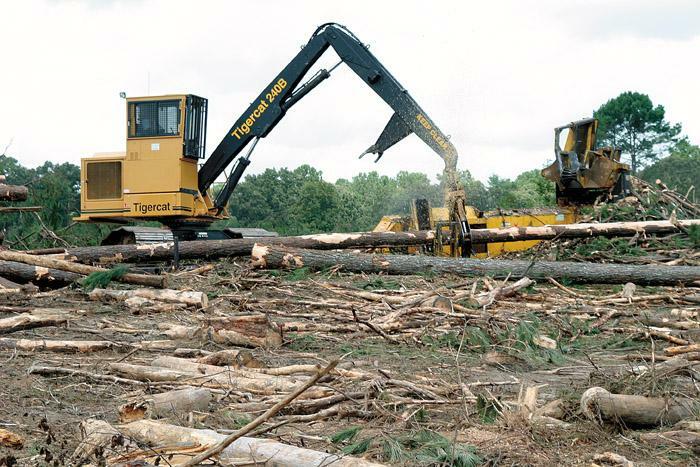 A large hardwood tree was being felled on an early spring day in the Appalachians. A bystander, who was in his mid-40s, was observing as a tree was being felled by other personnel. He had worked in logging and sawmilling for many years, but he was not officially working in logging at the time. Johnny (Big Johnny) Dees, owner of Dees Logging in Mississippi, died in August at his home in Shady Grove, Miss. 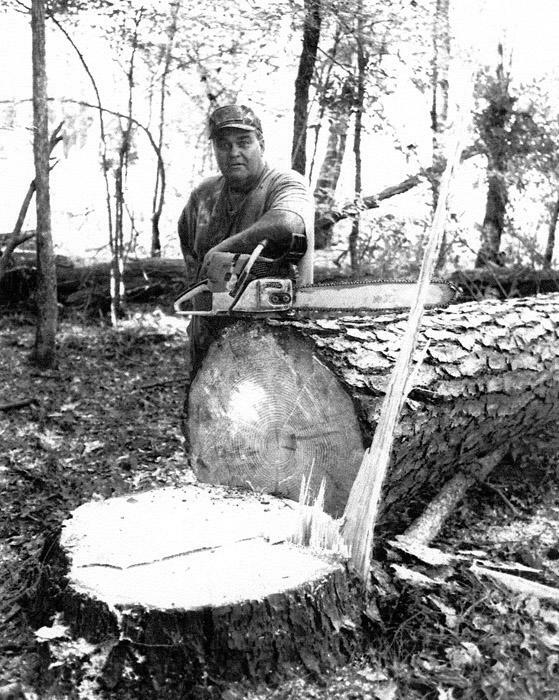 Dees started logging in the 1970s with his father Leo, and was still involved in logging when he died. Dees’ brother, Jeffrey, says, “He loved the woods with a passion. 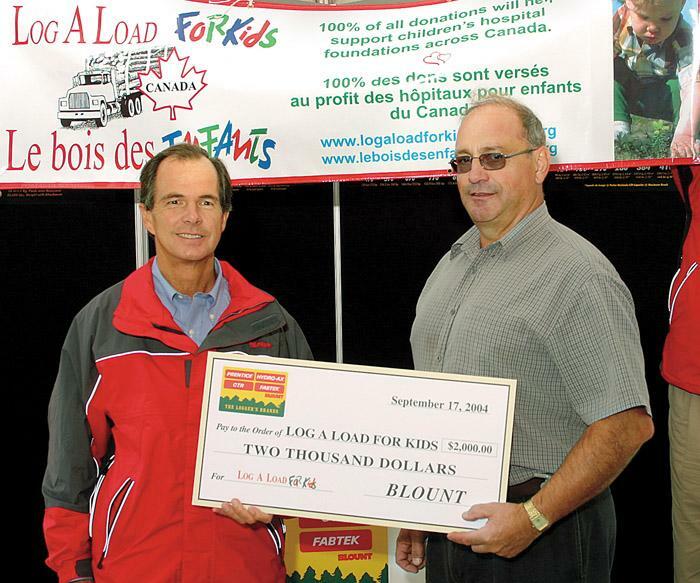 Dennis Eagan (left), President of Blount, Inc., presents a contribution for Log A Load For Kids to Gerard Robichaud, chairman of the board of directors of the Canadian Woodlands Forum, which coordinates the Log A Load For Kids Canada program. 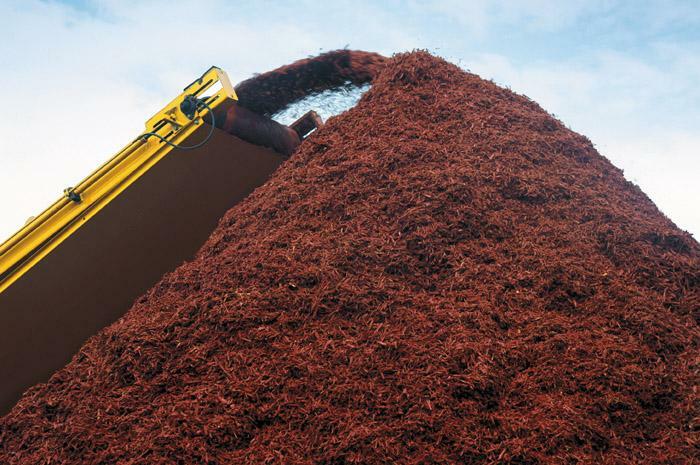 Designed for use on Vermeer horizontal grinders, the Color-Master CM101 coloring system converts low value wood waste into color enhanced landscaping mulch. CM101 attaches to the fender of any trailered Vermeer horizontal grinder model.